This time ring in the New Year with a bit of a different sparkle. While my favorite drink is Champagne I thought it might be fun to try something different this year. During my search I came across some really fun drinks to try. I love that there are so many variations of libations now days the options for a mixologist are almost endless. If you try any of these recipes, please share how you liked them. I just can’t try them all this time. 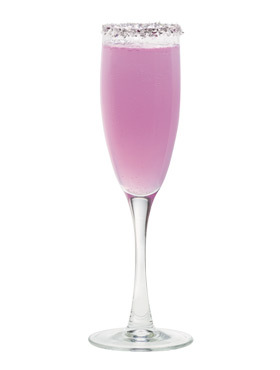 The New Year’s Sparkler is an easy way to spice up your champagne flute this New Year’s Eve. 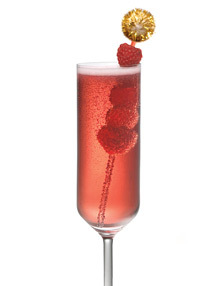 *Slide 5-6 raspberries onto long skewer and place vertically in champagne glass. How to make a PAMA Pine Combine, shake, and serve. If you can’t find pine tree swizzlers you could use the green cocktail toothpicks. Rim martini glass with crushed candy cane. 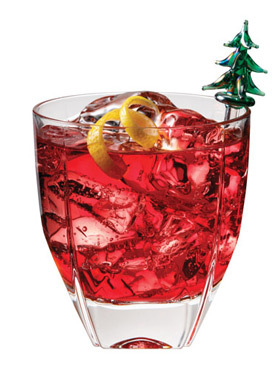 Combine SKYY Vodka, Peppermint Schnapps, Cranberry Juice and Grenadine into a cocktail shaker with ice. 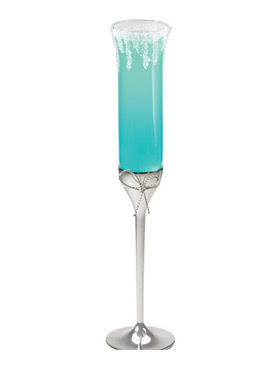 Shake vigorously and strain into martini glass. Top with Lemon Lime Soda and garnish with small peppermint candy cane.The Candy Cane Swirl is designed to add a simple, yet festive element to your larger holiday parties, utilizing familiar ingredients easily mixed in larger quantities. 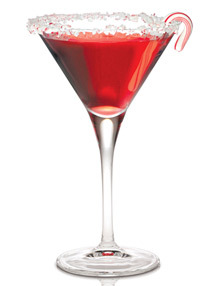 A vibrant red cocktail with a whimsical candy cane garnish, the Candy Cane Swirl is sure to be a crowd pleaser. How to make a Cuppa Good Cheer Combine all ingredients into a holiday mug and top with whipped cream, red sprinkles and a Maraschino Cherry. Thick, frothy and decadent, a Cuppa Good Cheer featuring SKYY Infusions Cherry is a mature version of a holiday favorite and certain to keep spirits bright. Garnish with a lemon peel and silver flake rim. 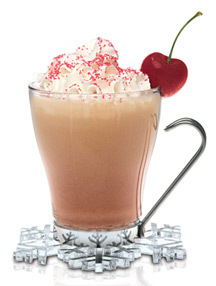 This entry was posted in Cocktails, Holidays by Tammy D. Bookmark the permalink.